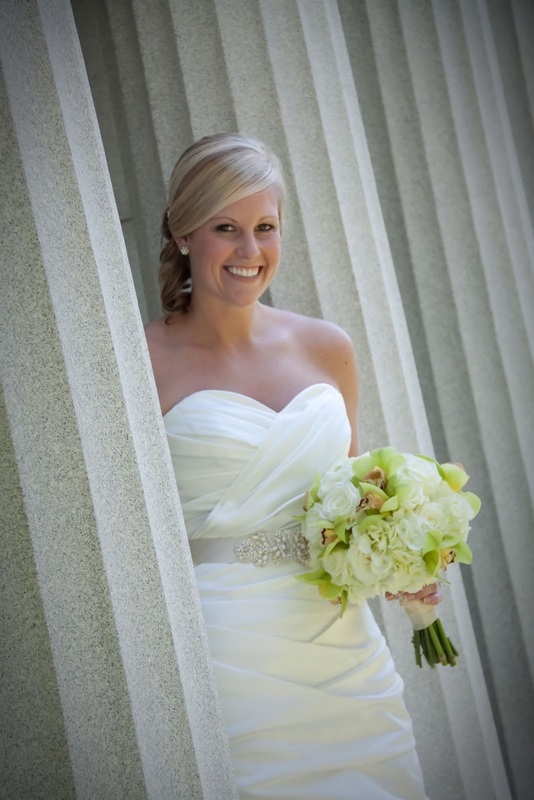 Emily was easy to work with and had a great eye for detail. 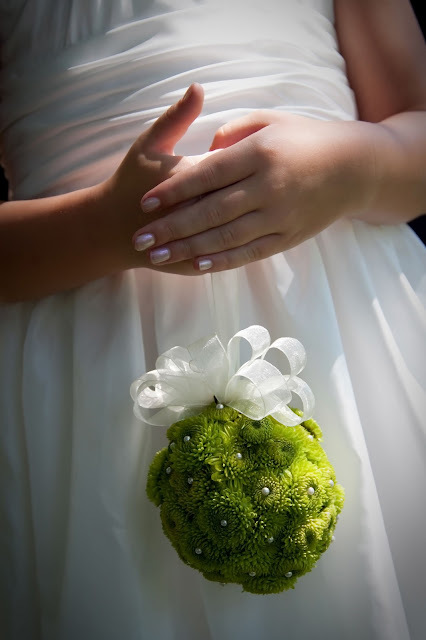 Im a big fan of the green and white theme- so it was lots of fun to work on. Her reception was at the Oscar Event Center. 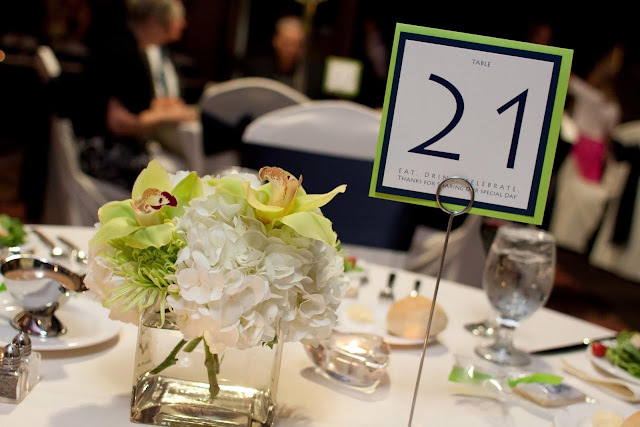 And these great pics were taken by Amy Ellert http://www.intowishininc.com/ (love the name)-Thanks, Amy for sending these to me and thanks, Emily for being so easy! 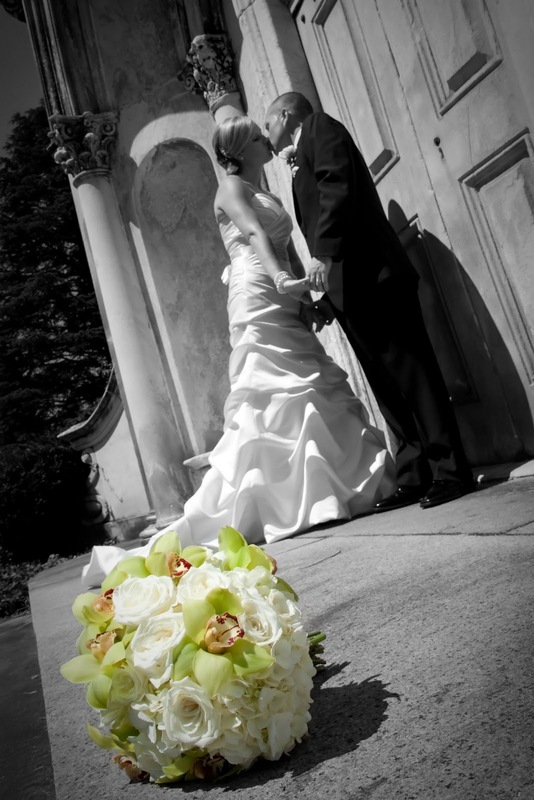 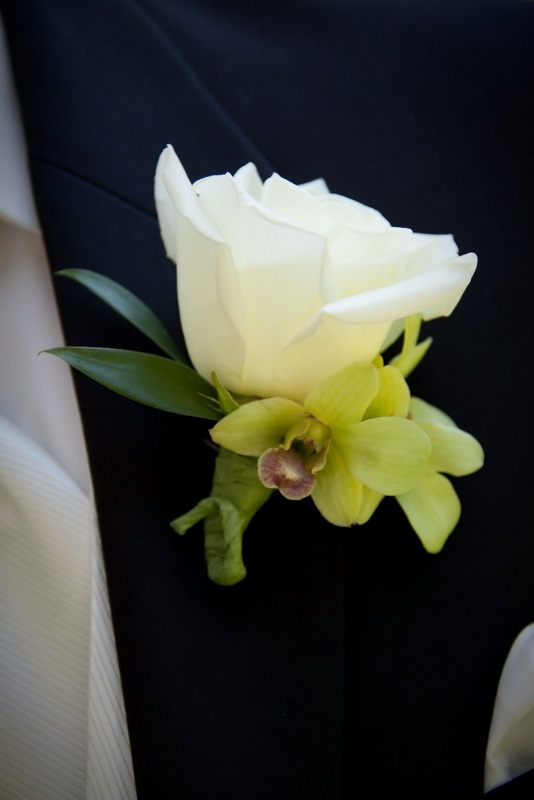 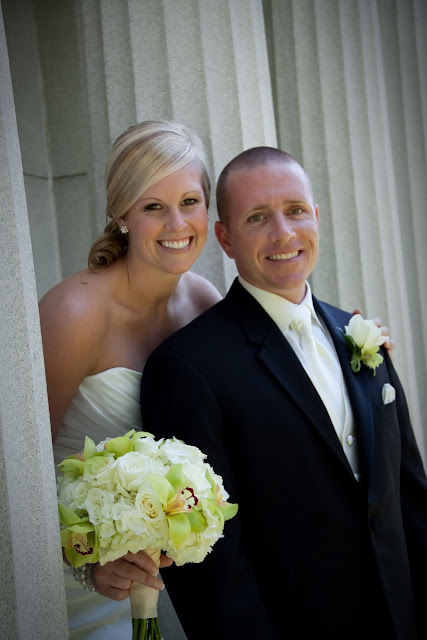 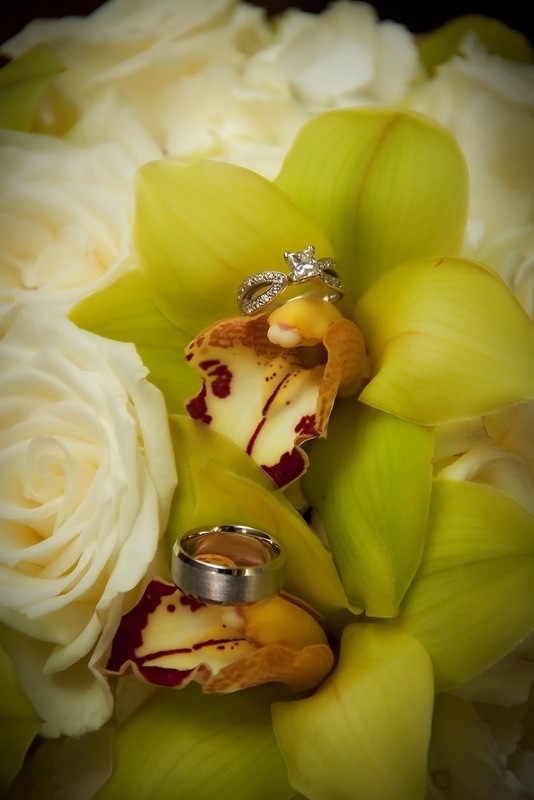 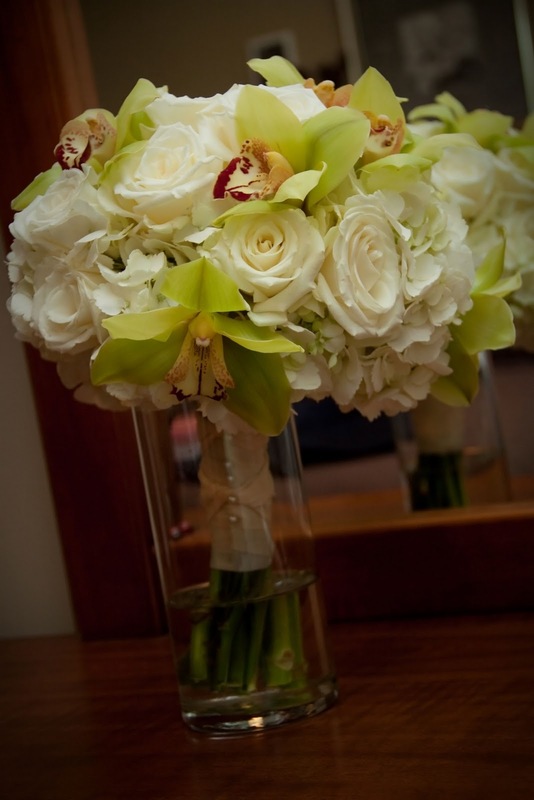 Emily's bouquet was a mix of hydrangea, roses and green cymbidium orchids. 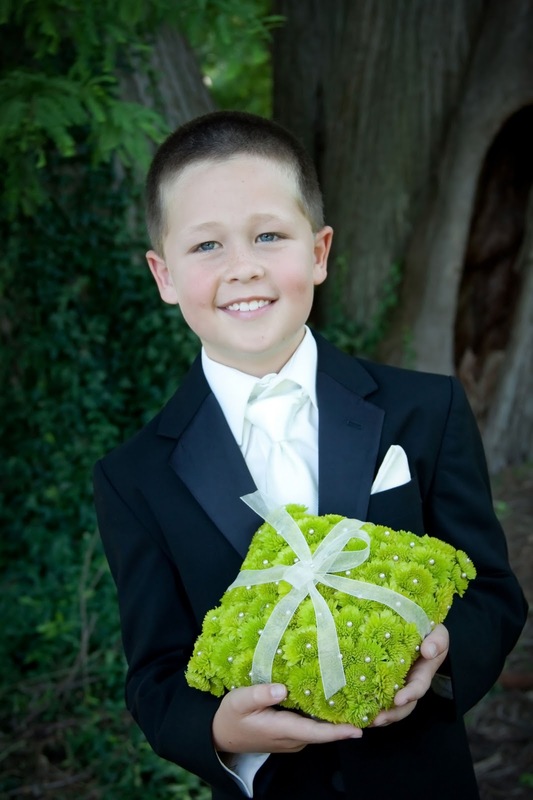 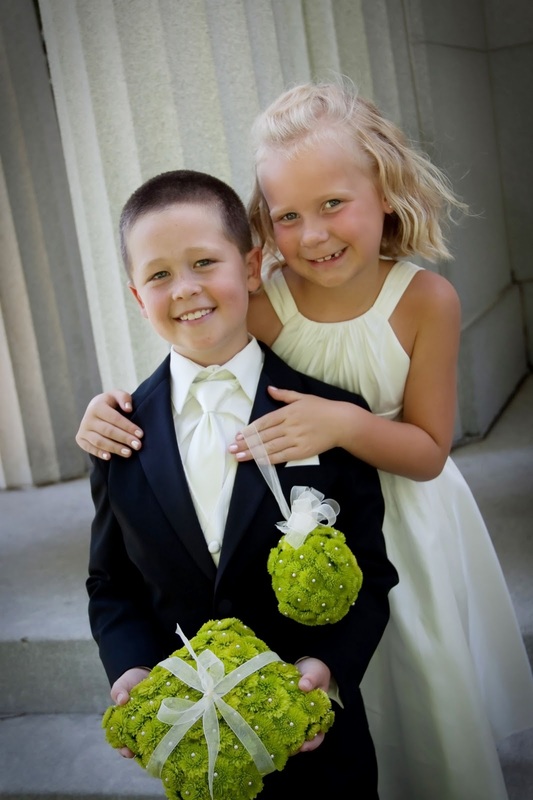 The ringbearer and flower girl carried matching pillow and hanging ball filled with green button mums. 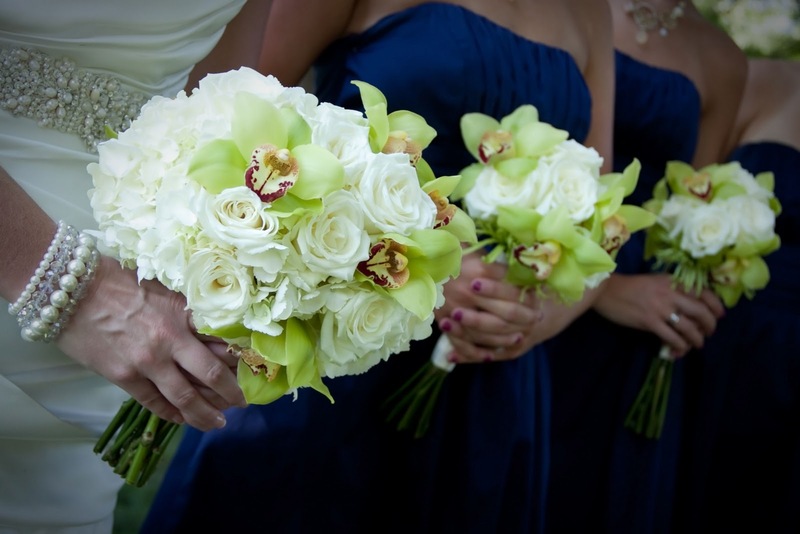 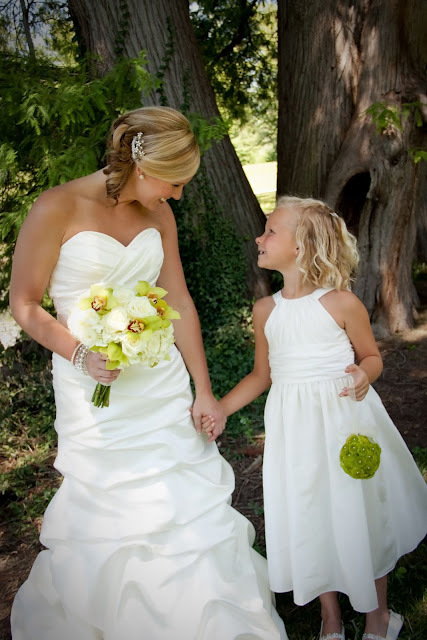 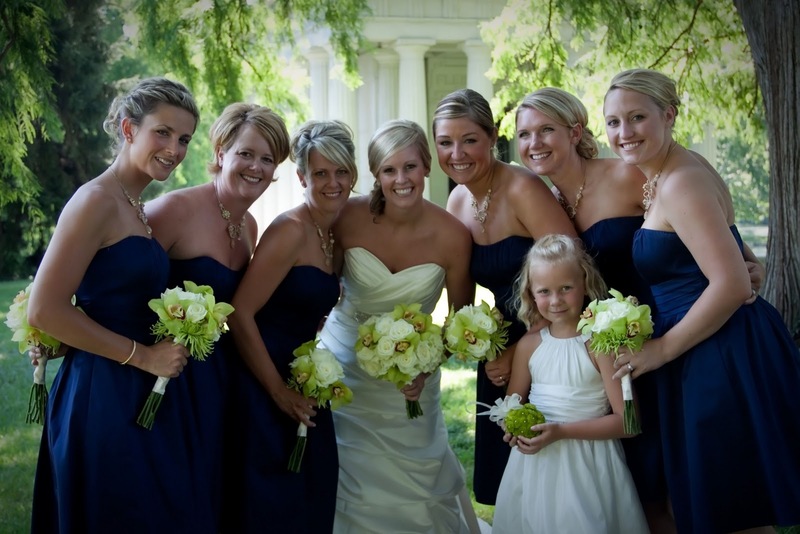 The girls carried petite versions of the bride's bouquet using orchid blooms, roses and green fuji mums. Centerpieces were simple and followed theme. 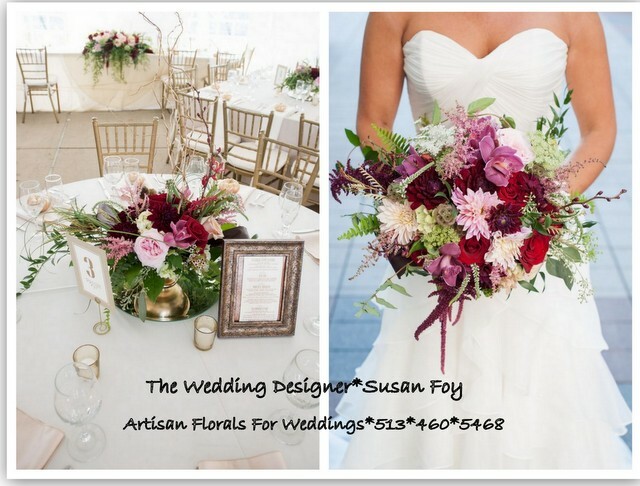 Half of the tables had eiffle vases with hydrangea blooms and the other half carried cubes with hydrangea, fuji and orchids. 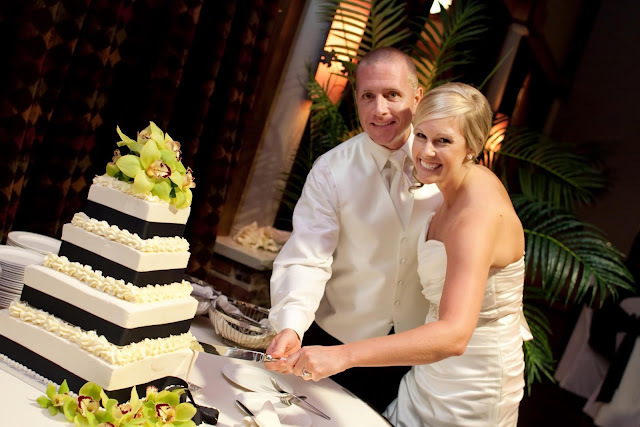 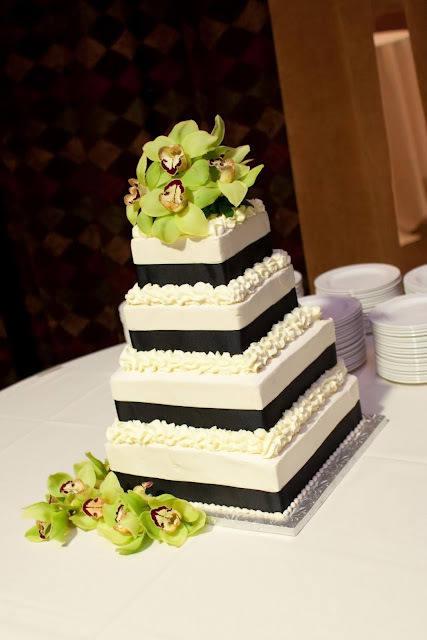 The cake was accented with green orchid blooms and ribbon. Cake provided by Sandy Massey.